NORA RENAUD'S ADAL IV HOMME PROJECT, HER DEBUT JEWELLERY COLLECTION FOR MEN, WAS PRESENTED AT SOME/THINGS SECRET LAST MONTH. 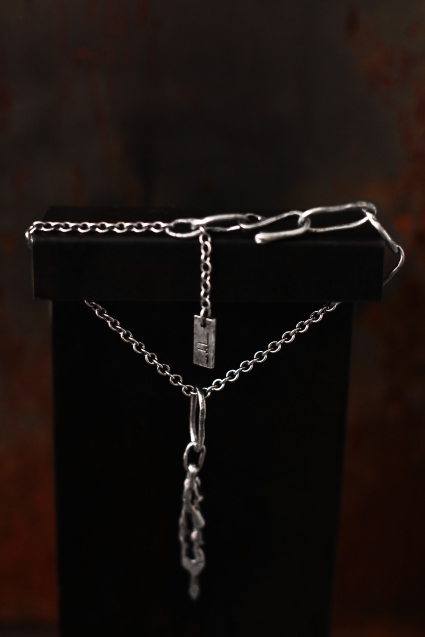 THE LINE INCLUDES RINGS, CHAINS AND BRACELETS FORMED FROM OXIDISED AND TREATED METALS, HANDMADE IN FRANCE. NORA IS REPRESENTED EXCLUSIVELY BY SOME/THINGS. FOR PRESS, COLLABORATIVE PROJECTS AND SALES CONTACT press[at]someslashthings.com or commercial[at]someslashthings.com.